Sudden Happiness is a live recording by Triot, which includes the leading young Finnish saxophonist Mikko Innanen and two of Denmark´s most in-demand young jazz musicians, bassist Nikolai Munch-Hansen and drummer Stefan Pasborg, with the saxophone legend John Tchicai as their special guest. The album was recorded during their joint tour in Denmark and Sweden in 2002. The music of Triot is an amalgamation of the introverted and melancholy Finnish character and the more extroverted Danish personality - with Afro-American musical tradition as a unifying element. Truly, a unique blend. 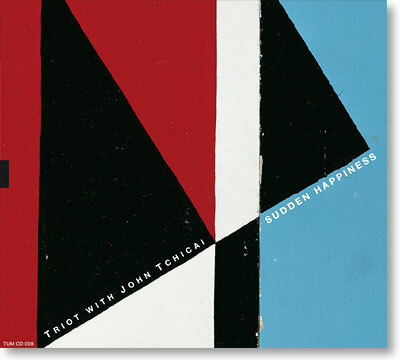 The legendary free-jazz saxophonist John Tchicai performs as Triot´s featured guest. His interplay with the group´s own saxophonist Mikko Innanen is pure magic throughout the recording. Tchicai, of course, is best known for his recordings starting from the early 1960s with John Coltrane, Archie Shepp, Don Cherry, Cecil Taylor and many others.